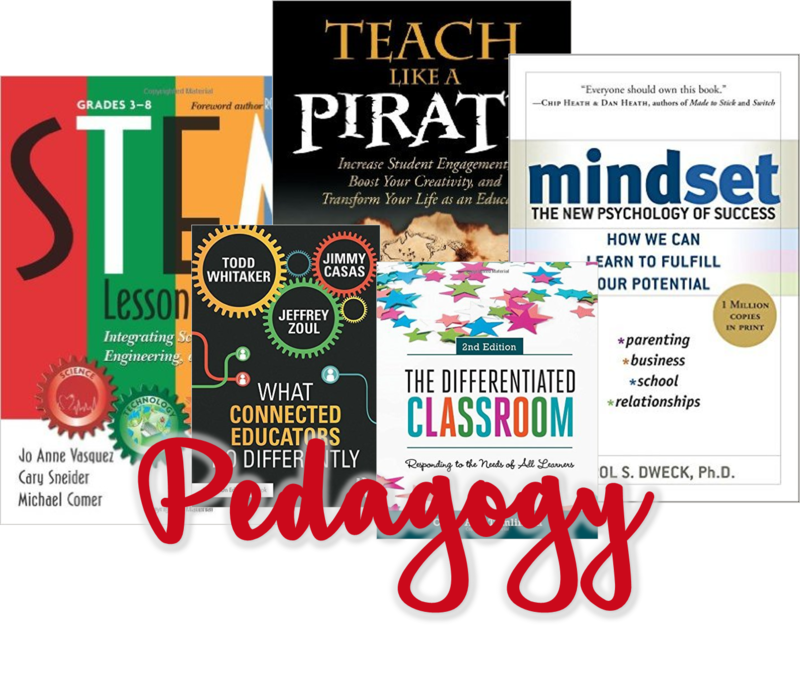 Pedagogy was a word that was thrown around a lot in all of my teacher prep courses. Since then, I hadn't really given much thought to until I went through the National Board process and really had to reflect on my own teaching practices. Why do we teach the way we do? Why do we use particular methods, and what kind of teacher are we really? Do we need to continue to transform our teaching to ensure we are using best practices, and how do we go about doing that? Here's a list of 5 books for your summer pool bag that could help you fundamentally transform your classroom for next school year! Are you thinking about ways to integrate your curriculum? In my very first STEM professional development course, we were give STEM Lesson Essentials: Integrating Science, Technology, Engineering and Mathematics. I love this book because not only does it provide definitions, fundamentals, and the "why" of STEM education, but it gives you personal reflection questions to answer at the end of each chapter. This easy read provides ideas for integrating, developing, assessing, and implementing STEM lessons in your classroom. One chapter is even dedicated to a K-8 school and how they adopted an integrated STEM approach for their building! Do you want to brush up on your differentiation strategies or add some new ideas to your toolbox? As a Gifted Resource Teacher, I am constantly thinking about differentiation for my students. Carol Ann Tomlinson is certainly the name to know in our field and here in Virginia (she teaches at the University of Virginia and is a leader in differentiation) and her book, The Differentiated Classroom can be used by any teacher, at any level, for all ability students. 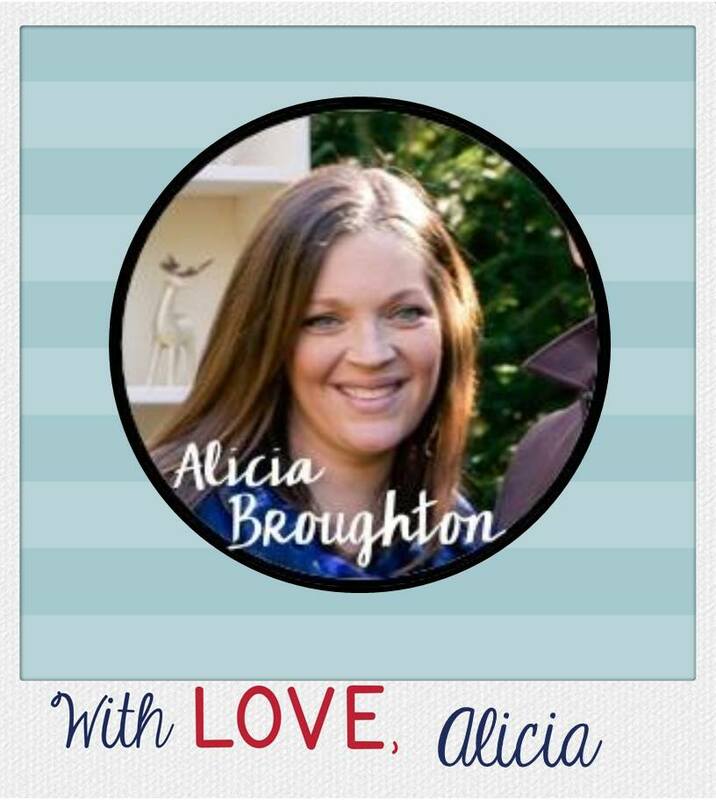 Not only does she walk through the meaning of differentiation (through content, product or process based on readiness, interests and learning profiles; providing respectful work, etc.) Tomlinson provides many examples and snippets of what it looks like in a variety of different classrooms. There are some great figures and diagrams that make this book the perfect reference tool when creating differentiated activities. Can intelligence and talents be learned? If you ask Carol Dweck, a professor of psychology and a leader in the mindset movement, the answer is absolutely yes! The GRT's in our county participated in a book club this year with her book Mindset: The New Psychology of Success. The idea of students developing perseverance and grit are not new in education - but how to transform a "fixed" mindset to a "growth" mindset is something new (for me at least!). Dweck provides anecdotes of people across all walks of life (not just education) and how we can reach our potential. She even addresses praise and how to reassure children in one chapter. While this book isn't specifically for education, it does have some great reminders on how to overcome challenges and be the best we can be! Are you looking to increase student engagement next year? 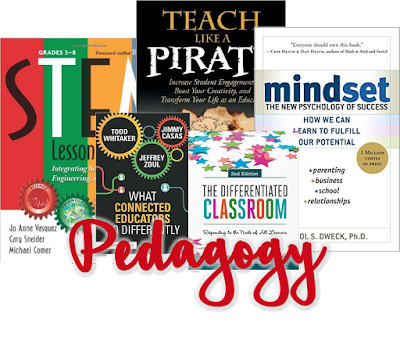 Teach Like a Pirate by Dave Burgess might be the book for you! Our administrators adopted this book as a "theme" for this school year, introducing our faculty to Dave's lesson hooks and pirate sentiments. 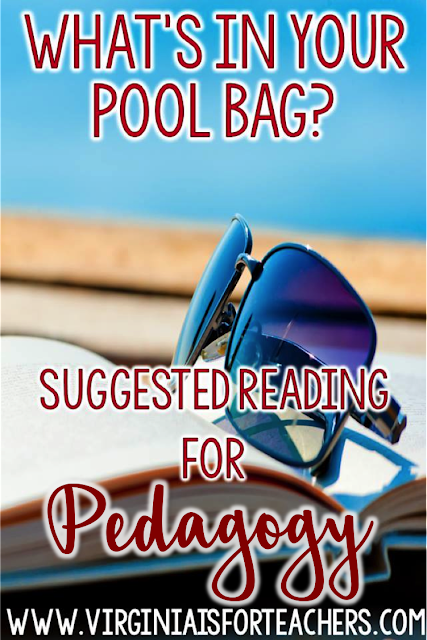 In this fun and easy read, Burgess suggests you take more risks and transform your classroom into an energetic place that students want to be. If you're like me, then you're looking for ways to integrate technology into the classroom to continue to prepare students for a digital world. What Connected Educators Do Differently by Todd Whitaker, Jeffrey Zoul and Jimmy Casas is at the top of my own personal professional reading list this summer. From the reviews I've read, this book has advice, ideas, and suggestions for teachers that want to dive into social media and technology. 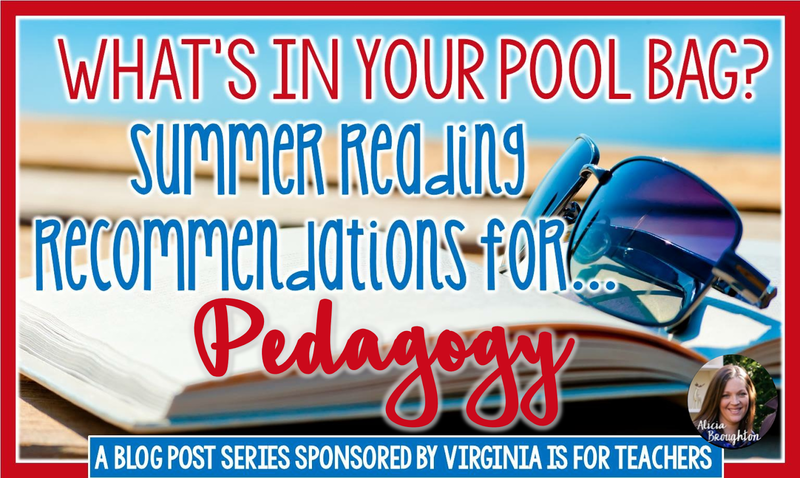 Be sure to check out Carla's Summer Reading Recommendations for Literacy here and Erin's post on Critical thinking here. Check back later this month for more fun suggestions on science, math, and more!